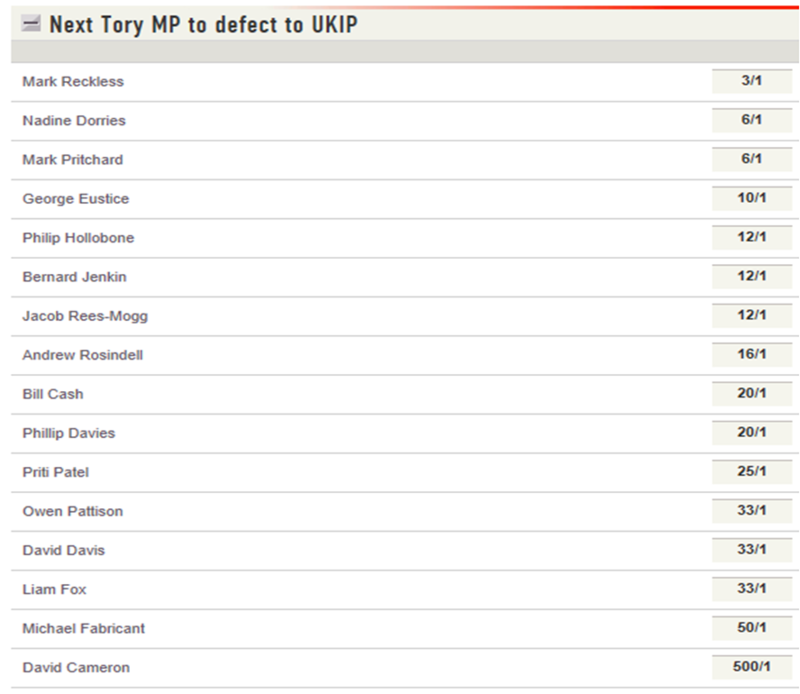 Which Tory MP will defect next? The latest betting from Ladbrokes. A quick note on the rules for this one; only defectors before the next general election count and we’ll return all stakes if no Tory MP defects to UKIP before then.